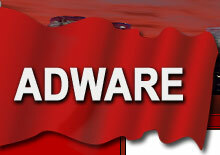 Adware manufacture the finest quality hand sewn satin flags available in Australia. Carefully crafted from lustrous high sheen satin flag fabric, perfectly appliqued and double sided, these flags truly offer the most beautiful type of indoor display flag or the ultimate ceremonial, parade & marching flags, or as presentation framed flags. Simply the most superior Australian made satin flags finished to perfection, to suit all outdoor flagpoles with flag clips or fitted with pole sleeves for indoor flagpoles. The finest quality fully sewn & appliqued Australian National Flags, finely crafted in high sheen satin flag fabric. Double stitched with M40 UV Resistant bonded Nylon thread, along with durable overlocked appliqued stars, heavy duty flag header, internal rope fitted with your choice of white Nylon flag clips, metal flag clips or stainless steel flag clips, or optional white flagpole sleeves for all indoor flagpoles. The finest quality fully hand sewn & appliqued Royal Australian Naval Flags, finely crafted in high sheen satin flag fabric. Double sided and double stitched with M40 UV Resistant bonded Nylon thread, along with durable overlocked appliqued Navy Blue stars, heavy duty flag header, internal rope fitted with a selection of either white Nylon flag clips, stainless steel flag clips, or optional white flagpole sleeves for Royal Australian Naval Establishments or official ADF indoor flagpole displays. The finest quality fully hand sewn and appliqued Royal Australian Air Force Flags, finely crafted using high sheen satin flag fabric. Double sided and double stitched with M40 UV Resistant bonded Nylon thread, along with durable appliqued and overlocked roundel and stars, heavy duty flag header, internal rope fitted with a selection of either white Nylon flag clips, metal flag clips, stainless steel flag clips, & optional flagpole sleeves for RAAF Bases or official ADF indoor flagpole displays. Brisbane, Acacia Ridge, Blackwater, Bowen Basin, Brendale, Bundaberg, Cairns, Carole Park, Eagle Farm, Emerald, Garbutt, Townsville, Gladstone, Gympie, Logan, Nerang, Rockhampton, Paget, Mackay, Roma, Redcliffe, Southport, Sunset, Sunshine Coast, Tingalpa, Toowoomba, Wacol, Warwick, Ipswich, Gold Coast, Caboolture, Dalby, Coolangatta, Maryborough, Theodore, Hervey Bay. Adelaide, Mt Gambier, Maree, Murray Bridge, Port Adelaide, Port Augusta, Port Pirie, Port Lincoln, Regency Park, Roxby Downs, Victor Harbour, Woomera, Whyalla, Ceduna, Glenelg, Gawler, Crystal Brook, Renmark, North Adelaide, Unley, Mount Barker, Norwood, Bridgewater, Morphett Vale, Goodwood.